Ever since the Tesla Model 3 event on March 31, Elon Musk has posted several snippets of information on Twitter about the Model 3 on a daily basis [http://cleantechnica.com/2016/04/04/elon-musk-shares-tesla-model-3-details-twitter-rampage/]. On April 4, he hosted a full question and answer session on Twitter detailing many more facts than in previous posts. The session discussed all-wheel drive, launch details, interior, exterior, plus other options as well as expanded into general Tesla news including factories, service centers, and supercharging. Many current electric vehicles have about 100 miles of range, but the Model 3 has more than double that at 215 [http://www.cnet.com/roadshow/news/tesla-model-3-and-chevy-bolt-fight-to-the-death-or-ev-lovefest/]. It is also supposed to improve on the overnight street parking problem. Driving a Tesla after charging it overnight is equivalent to having a full tank of gas. On the other hand, if you do not charge it overnight (possibly because you parked it on the street), there is a decrease in up to 40 miles remaining compared to when it was when parked [http://jalopnik.com/everything-we-know-about-the-tesla-model-3-1762634818]. The Model 3 will also include some more tangible options including a “vegan” interior (white vegan leather), all-wheel drive for less than $5,000, a tow hitch option, matte black paint, the ability to fit bikes, and more room for child safety seats [http://evobsession.com/tesla-ceo-elon-musk-confirms-model-3-awd-option-will-cost-less-than-5000/]. In terms of the company itself, Musk said that a Tesla factory is coming to Europe, although no time table was mentioned. The timing would likely be based on demand for Tesla vehicles in Europe, but one sign is that Tesla already has an assembly line in Tilburg, in the Netherlands. Also, Musk plans to use order volumes in planning for supercharger deployments. Relating back to expansion, later this year, superchargers are coming to Ireland, Italy, and Mexico. That said, the most exciting growth news may be Tesla’s plan to be in India before the Model 3 production launch. This decision will give them a large new crop of consumers to work with as things seem to be always improving with Tesla. Ayre, James. “Tesla CEO Elon Musk Confirms Model 3 AWD Option Will Cost Less Than $5,000.” EV Obsession. EV Obsession, 04 Apr. 2016. Web. 05 Apr. 2016. Ballaban, Michael. 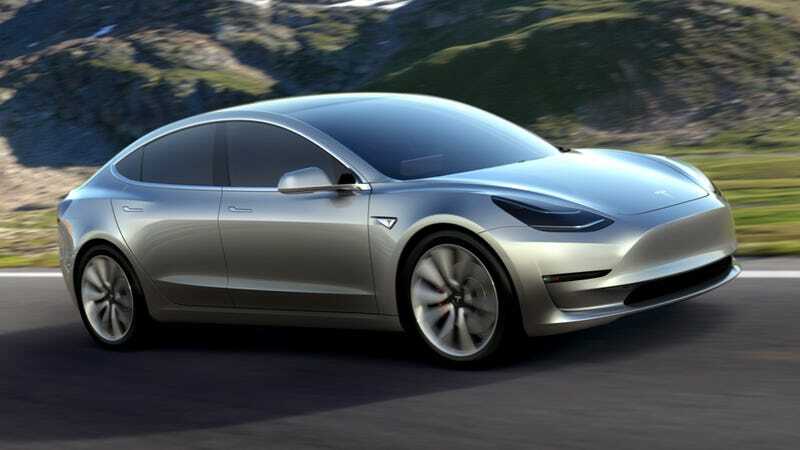 “Everything We Know About The Tesla Model 3 (Updated).” Jalopnik. N.p., n.d. Web. 04 Apr. 2016. Cunningham, Wayne. “Tesla Model 3 and Chevy Bolt: Fight to the Death or EV Lovefest?” CNET. CBS Interactive Inc., 04 Apr. 2016. Web. 05 Apr. 2016. Field, Kyle. “Elon Musk Shares Tesla Model 3 Details In Twitter Rampage.” CleanTechnica. Sustainable Enterprises Media, Inc., 04 Apr. 2016. Web. 04 Apr. 2016. This entry was posted in Electric Vehicles, Woodson Powell and tagged CleanTechnica, CNET, EV Obsession, Model 3, Tesla by Emil Morhardt. Bookmark the permalink.